Hi! I thought I would go off the page for the Creative Embellishments November Challenge. 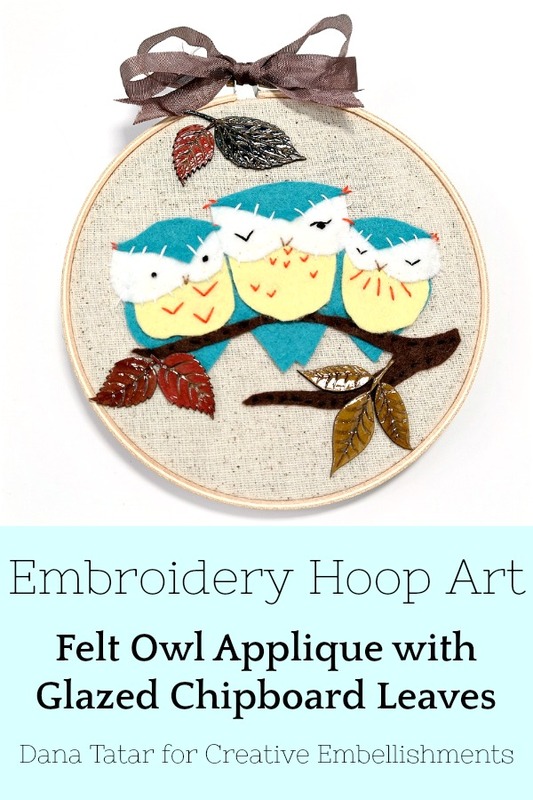 I love the look of applique and embroidered art. 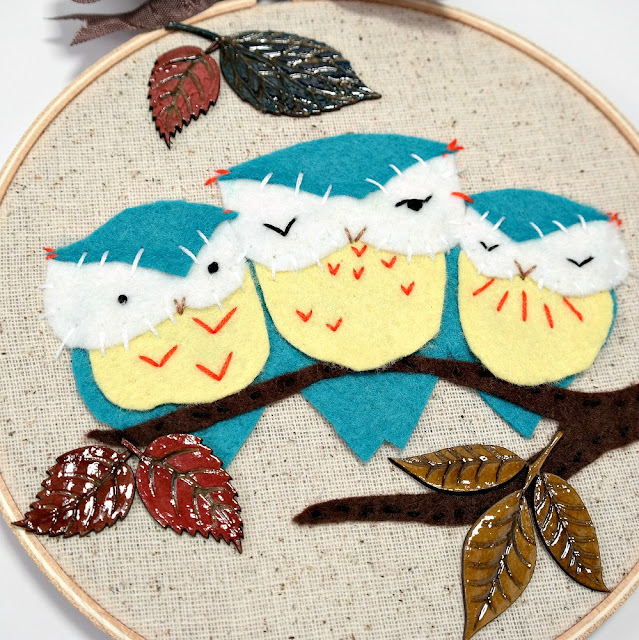 I'm a novice when it comes to felt and fabric crafts, so I started with a ready-made kit. 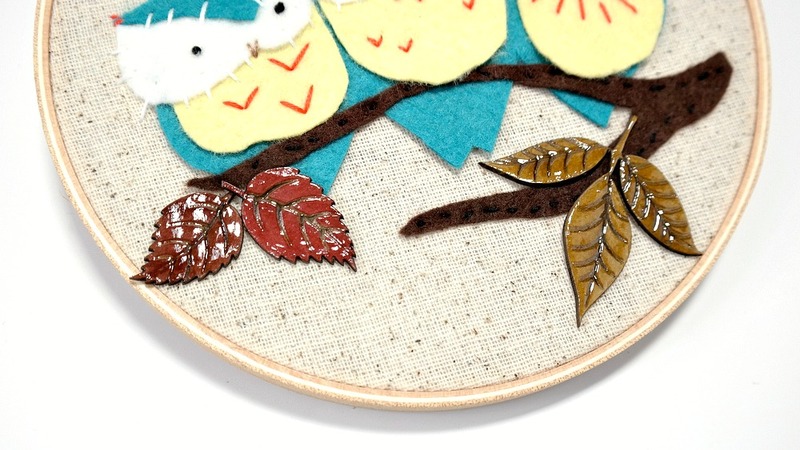 Once I had the individual felt pieces cut and stitched to the embroidery hoop, I added chipboard leaves to make my finished piece different from the package design. I colored several styles of leaves from the Autumn Leaves set with Distress Markers. After gluing the chipboard to the fabric, I covered the leaves with a coat of glaze and let dry. I finished this simple design with some seam binding ribbon. The Creative Embellishments Team would love to have you join in the fun this month! Create a new project inspired by the colors in the mood board. The design twist is to add leaves to your project. All artists whose entries meet these requirements that are submitted during the month of November are eligible for the prize drawing for a Gift Certificate to the Creative Embellishments Store! I also want to mention that Creative Embellishments is having a Design Team Call for the January - June 2019 Term. If you love working with chipboard, stencils, stamps, and flair, you can read more about how to submit your application HERE. OMYGOSH!!! I loveeeeeeeeeee this! 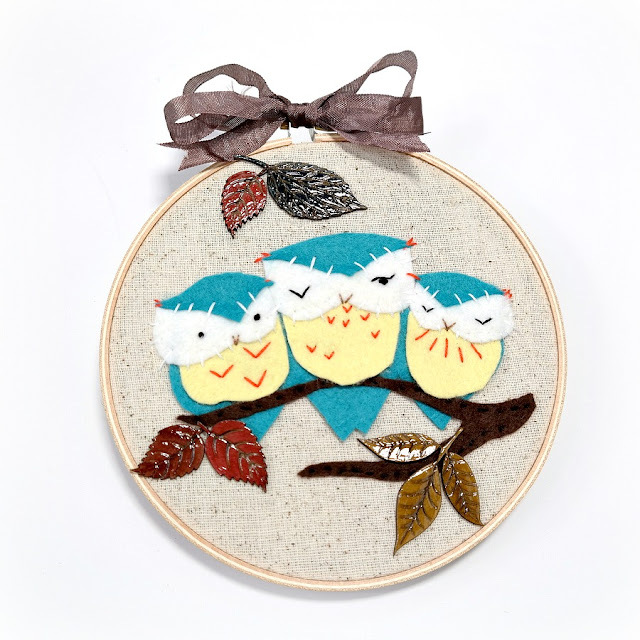 LOVING the owls and the leaves!!!!!!!!!! Una idea muy original, gracias por compartir. 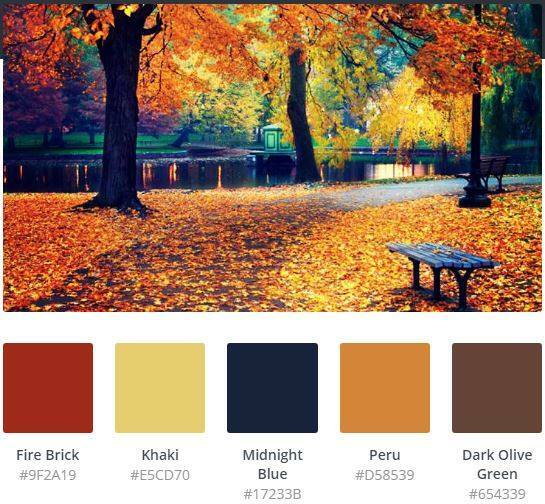 Los colores de las hojas me gustan muchísimo. Gracias por visitar mi blog. Te sigo para no perderme tus creaciones.